AND LEAD US NOT INTO STUPIDITY… | Thoughts of a Calabarboy. 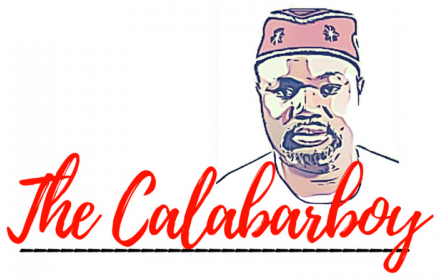 AND LEAD US NOT INTO STUPIDITY… – Thoughts of a Calabarboy. 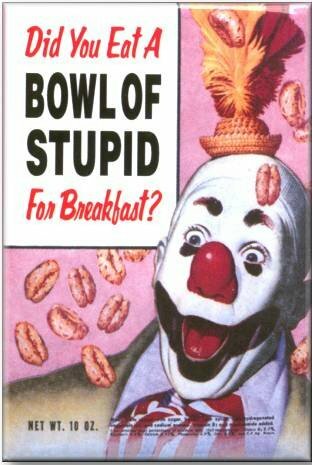 Anyone seen the movie/documentary “Age of Stupid”? Every time I think of Nigeria my mind zaps back to the film, which coincidentally was partly shot in Nigeria. The basic storyline is that someone sits in the devastated future (2055) and watches archive footage from 2008 and wonders why no one did anything to stop the calamity that befell mankind. As extreme as they may have characterized the central thesis of their flick, what draws immediate consideration is the point we always have the opportunity to change things and predetermine the course which we may take. But what always makes history is the fact that we do nothing until our writers have to laboriously record on the pages of our sad histories what grave mistakes we have always made. We always have the chance to make things right when things go wrong. This is an ability and privilege given to all men wherever they may be. But when it comes to collective decision making, too many cooks will spoil the broth, therefore we entrust that ability to certain men to make choices on our behalf. Well, this is predicated on the hope that the ones we choose to make such decisions are truly them that represent the nearest possible values which we all cherish. So when the ship of State appears to hit high waters, and the terrain becomes rough, we trust that the captains on board will grab the wheels and twist and turn until we steer clear of danger. But when the boat is rocked, and our captains are shocked, I refer to this as “a plot of stupidity”. For a while, I have refrained from writing about the utter mess going on in Nigeria because I cannot always make a clear case from a point of anger. I have tried to coat my emotions by creating punditry out of the myriad of commentaries on the matter. I have watched also as many Nigerians have managed the ongoing by mockery and mild jocosity, all in an effort to wade off the immense stress that such nonsense can mount on the human mind. From one case to another, Nigeria has featured severally in the international media as playing the case of the preposterously bizarre-like character that you can always find in plots of revenge seeking movies. While we are dealing with the bad public make up we have just been slapped with as a terrorist nation, we are busy generating bad breath internally as though an ugly face is not bad enough; it must be matched with foul odour from the inside. The whole display and management of the Presidents’ illness and subsequent disappearance has once again shown that we teeter constantly on the edge of cacophonous stupidity. We hear and feel how the sounds and motions being played out pertain to disorderliness, yet we still have leadership that appears totally clueless on the direction we must take. What disturbs me is that we are a ship loaded with bright minds and men of no mean repute, including those who hold forte. It makes one wonder if leading Nigeria requires an advance degree in Space Science; because we probably do not fit into any system that sanely obtains here on earth (did I hear someone say that it makes us unique?). Everything around us seems to defy logic, and though the diagnosis of our predicament draws from minds within and without our borders, leadership fails to prognosticate a clear path of honour as obtained in our creed. We have a constitution that clearly states what to do in the case of an incapacitated President. The constitution explains that a five member medical panel, constituted by the President of the Senate, and headed by the Presidents’ personal physician, along with four other medical practitioners of “a high degree of eminence in the field of medicine relative to the nature of the examination to be conducted”, should ascertain in a report what the Presidents’ physical and mental condition is. Based on their recommendation, the President of the Senate is to take appropriate action, which is clearly spelt out in the constitution. If the President is deemed by the panel as “incapable of discharging the functions of his office, a notice thereof signed by the President of the Senate and the Speaker of the House of Representatives shall be published in the Official Gazette of the Government of the Federation.” I read this back in my fifth year in secondary school, and had to write an essay on the role of the President. Although my essay was based on the 1979 Constitution, it is basically similar in its element to the 1999 document. The point here is that as a 15 year old I clearly understood what the constitution implied and neither was I dumbfounded by any legal terminology. Why then have we witnessed amazing serenades of stupidity, even from the one who ought to explicate the law on behalf of the government? Surely friends, there is absolutely nothing complicated in a simple instruction which binds us all. This was written for a time as this, that we as a people may not be overruled by the factious schemes of a greedy cabal, whose sole purpose is to hijack the ship of state and messily administer the jungle policies of ensuring the survival of their prebendaries. Suddenly, we have an intricate situation where the Presidents’ wife has become the critical mass in this bedroom politics and is wielding such powers not prescribed in the constitution. Unimaginably, no one can lay claim to having seen or spoken with Mr. President. No, not even the man he chose (or did he?) to run with him. She has him carefully tucked under her wrapper. What is even unthinkable is the fact that no one in leadership has been able to explain this awkward series of unfortunate event, again not even the Public Relations Officer of the nation. Yet we are those who slap the appellation on the forehead of our national person and engrave it as well on our vessels’ escutcheon: “Giant of Africa.” A giant whose inner man is severely fractured that we are now submitted on the table of a faraway kingdom where we have become a heavy burdened to be kicked out. Yet our leaders do nothing. While the supposed show of shame continues, our open doors are shutting, our time is ticking, and our opportunities are wasting. While we have sown the bitter tears of struggles and are waiting to reap the joyful harvest of development, thieves are laying siege to our messengers of hope and peace. While our young people are growing fond of their country, an idea which was strange to many before, a few are increasing the weight of citizenship and are muzzling the ox twice. While our intellectuals are crowding our audio-visual space with postulations and mental assertions on our questionable foundation, our national actions are speaking at higher decibels that our voice can produce. The hodgepodge of media ramblings and somewhat peripheral discussions on blogs and journals has all left us more hateful than hopeful. It seems to me that the many strides of progress and the huge leaps in growth are again beset by the one thing that has consistently plagues us – Bad Leadership. I am burdened every day and remember the country to which I am willingly engaged to. I pray for it every time I pray for me and hope that as bullets from a marksmans’ aim, my words will fall right on point and provoke the divine hand to wave and adjust the minds of the men who carry our banner. But time and again I perceive that I shoot at the wrong target. My target ought to be me. Who knows, by one sinister move, I may as well shake the process through which we repeat the melodies of crassness through the elective process. In 2011, we look forward to another time when we jiggle the sieve and sort the wheat from the tares and hope to choose them that will do us good and not evil. For now, the present crop has failed to satisfy our desire for the change we need so dearly because the infectious devils of stupidity hold sway over us. Hm… so nourishing an insight. I cannot just wait to come to here to re-educate myself.